The lighting of a candle to accompany a prayer comes from the belief that Christ is the Light of the World. 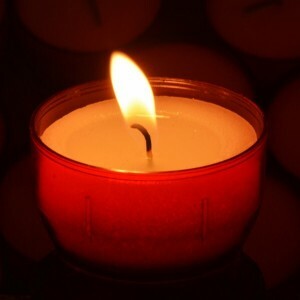 The candle flame is a visible representation of the light of faith burning in our hearts. Here, prayer requests, notes of concern or celebration and memorial thoughts may be posted and a virtual candle will be lit to remain on our site for a few days. You are welcome to post any appropriate thoughts next to your candle.